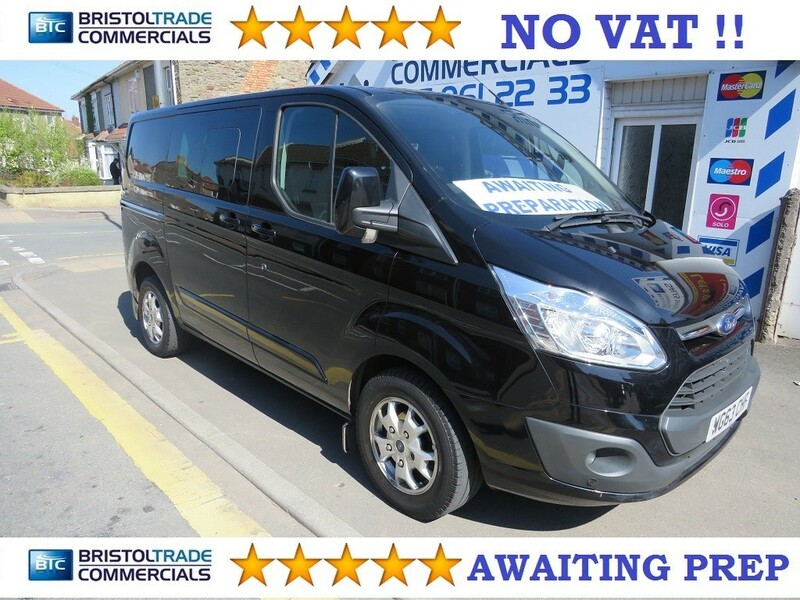 Transit Custom 290 Limited L1 6 Seater Double Cab In Black. 2.2 TDCi (125 BHP) Full Service History. 6 Speed, Air Conditioning, Cruise Control, Heated Seats, Alloy Wheels, Multifunctional Leather Steering Wheel, SYNC Voice Communication System, DAB Radio/CD, Heated Screen, Electric Windows, Electric Folding Mirrors, Auto Lights, Parking Sensors, Twin Glazed Side Loading Doors, Fully Lined In The Rear, Fantastic Condition Both Inside And Out. Looks And Drives Superb. All Vehicles Come With 60 Point Inspection Check, New Mot (Where Applicable) Full Professional Valet And 12 Months AA Breakdown Cover. Holding Deposits Now Being Taken. Finance Available Subject To Status. Part Exchange Welcome.